This morning the 2011 Golden Globe nominations were announced, once again proving that comedy was weak this year (with the exception of The Kids are All Right, which could also be a drama). The Tourist, which was panned by critics earlier this month, had a couple of surprise nods including best picture, and each lead getting a nod. Julianne Moore finally gets some love from the foreign press for The Kids Are All Right. And Mila Kunis gets a nod for her star-making role in Black Swan and the mind-bender film Inception is finally getting some recognition. Jeremy Renner also gets his due for his great performance in The Town. The rest of the nods seem to be pretty standard, with the exception of Halle Berry finally getting some recognition for her labor of love Frankie and Alice. 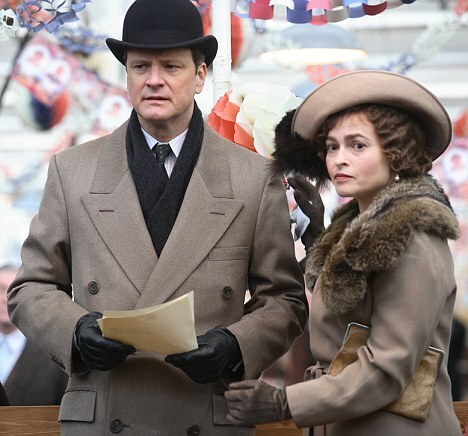 But it's the British drama The King's Speech that's leading the pack with a staggering seven nominations including its cast (led by Colin Firth in the title role) and the film for best picture. The Fighter didn't fare too badly either with an impressive 6 nods, including each lead played by Melissa Leo, Mark Wahlberg, Amy Adams, and Christian Bale. The film was also nominated for best picture. The Social Network is also earning tons of accolades this season. I'm really surprised Cyrus didn't make it into Best Comedy. Critics liked that one.